There are many societies and groups to join and a lot of fun things to do in your free time if you are a student at Beagle College, University of Mar s! These are just a few of the more popular societies. Beagle College is located in Pillinger Dome, the Central Dome of Beagle Dome Complex out on Isidis Planitia, in the Northern Hemisphere of Mars, at 10.6º N, 270 º W.
Beagle itself is famous for many things, and a renowned centre of art and culture; it hosts the classic Beagle Museum and its other leisure facilities are second to none. Choosing your college of higher education? 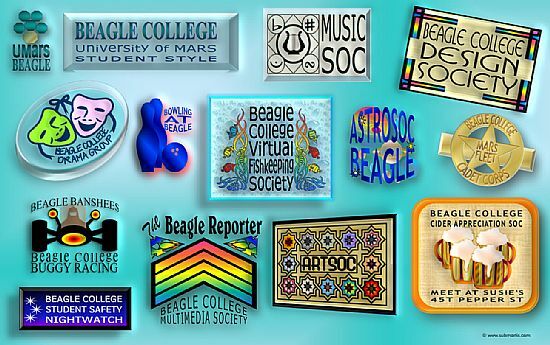 Choose Beagle!